With the NHL trade deadline looming large over the hockey world, several names are being floated around the rumour mill. The usual ‘players’ are rumoured to be making deals to strengthen their chances of Stanley cup glory. The name that keeps appearing in trade rumours is ‘Mr. Columbus’, Rick Nash. 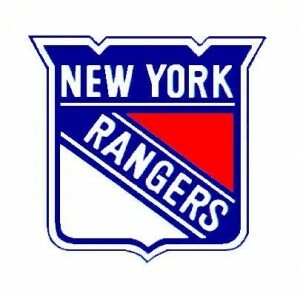 Several teams have been rumoured with Nash but one of the front-runners appears to be the New York Rangers. The Rangers are flying high in the NHL this year, currently sitting in first place in the East with a 38-15-5 record. Ranger fans are often considered some of the hardest to please in all of sports but after a great first three-quarters of the season, the question on a lot of the fans lips is, do we roll the dice? As a Rangers fan myself, I have my own views on whether the Rangers should but many fans are undecided. Here are five reasons why the Rangers should not trade for Rick Nash. Make no mistake, Rick Nash is one of the most skilled and effective players currently playing in the NHL. His stats this season do back that statement up: Nash has 19 goals and 21 assists for 40 points in 59 games this season. By themselves, they don’t look great but when you consider that Nash plays for the worst team in hockey, they’re much more impressive. However, Rick Nash makes $7 million a season until 2017 when it climbs to $8 million for the penultimate year of his contract and $8.2 million for the final year, equating to a yearly cap hit of $7.8 million. The Rangers can afford to take this salary on for this season without moving a great deal of cap, however with impending free agent Michael Del Zotto to re-sign this off-season and the likes of Ryan McDonagh and Derek Stepan to re-sign in 2013 the Rangers cannot simply throw money about. 2.) Who goes the other way? New York Rangers GM Glen Sather had become a very unpopular man in New York over the first few years following the lockout for sacrificing young talent in exchange for overpriced free agents as well as the occasional shocking trade. However, over the last few years, Sather has built a strong, young team with a clear leader and a whole host of home-grown talent. Some wrongly believe that the Columbus Blue Jackets will be willing to offload their franchise player for a roster player, a prospect and a draft pick. I’m sorry to anyone who believes that but it is just not true. The Blue Jackets will be looking to gain two or more current NHL players, as well as a quality prospect or two and a couple of high draft picks. In my opinion the Rangers would need to put a package similar to this together to acquire Rick Nash: Brandon Dubinsky + Michael Sauer + Chris Kreider and a 1st round and 2nd round draft pick. Although Dubinsky has not hit the heights of his last few years this season, he could step up in future years and cannot be considered as worthless as some fans suggest. Over the past decade, the New York Rangers are famous for throwing big money at big names in order to try to buy success. This has seen the Rangers plummet into a mediocre franchise hovering around the playoffs all season and then using game 82. This year is different, this year the Rangers are a unit, a brotherhood, they play for each other. The chemistry these guys have is some of the best in the NHL at the present moment and a trade for Rick Nash could rip a massive hole in that chemistry. Dubinsky is one of the most popular guys in the locker room as well as one of the most popular with the Rangers coach John Tortorella. Rick Nash could fill the scoring void of anyone on the Rangers but could he fill the place in the locker room? Since being drafted as the first overall pick in the 2002 NHL Entry draft, Rick Nash has become Columbus’s franchise leader in goals , assists and points. However, no disrespect to Columbus but the capital of Ohio is a little bit different from the bright lights of New York City. Many players have come out of smaller hockey markets with impeccable records and folded on the big stage. You do not have to look far to see an example of this, Ilya Bryzgalov came to Philadelphia with a steady and consistent record for the Phoenix Coyotes and the Anaheim Ducks. This year has seen Bryzgalov choke in a big market, whether he will recover from this year remains to be seen but what is there to suggest Rick Nash couldn’t come and choke when put into a big hockey market. 5.) Why upset a winning team? The Rangers are close to their first President’s trophy since 1994. Although the President’s trophy isn’t as prestigious as the Stanley cup, it is still an indication of how much the Rangers have progressed in the last few years. This success comes down to a number of factors including hard work, good drafting, and good organisation from a solid and successful head coach. Whether Rick Nash would help or hinder the mood within the Rangers organisation is yet to be seen. However, is the reward worth the risk? I for one am not 100% against the Rangers acquiring Rick Nash but these are some of the negative points that the Rangers must take into consideration before doing anything they may live to regret.